The cloud cover didn't look to great on arrival at the car park, at least it would provide for a cool day. 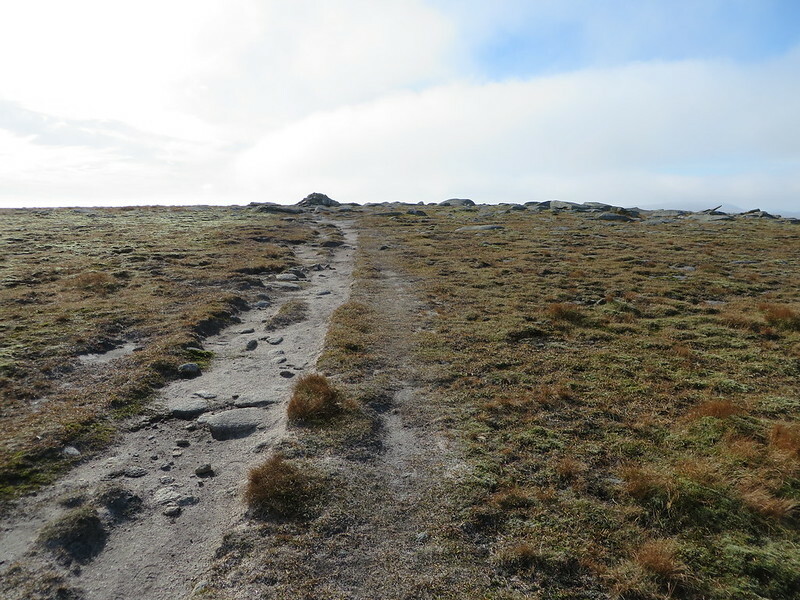 Thankfully it looked like clearing and once up at the bealach only the very summit was still covered in cloud and looking like burning off very quickly. 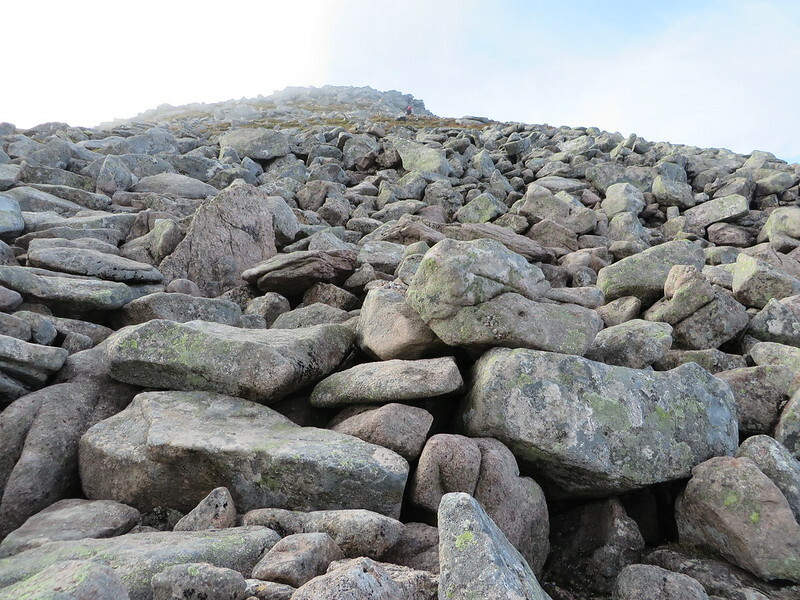 From there, it was onto the ladder but a well constructed path through the boulders makes it a straight forward, but still steep walk. 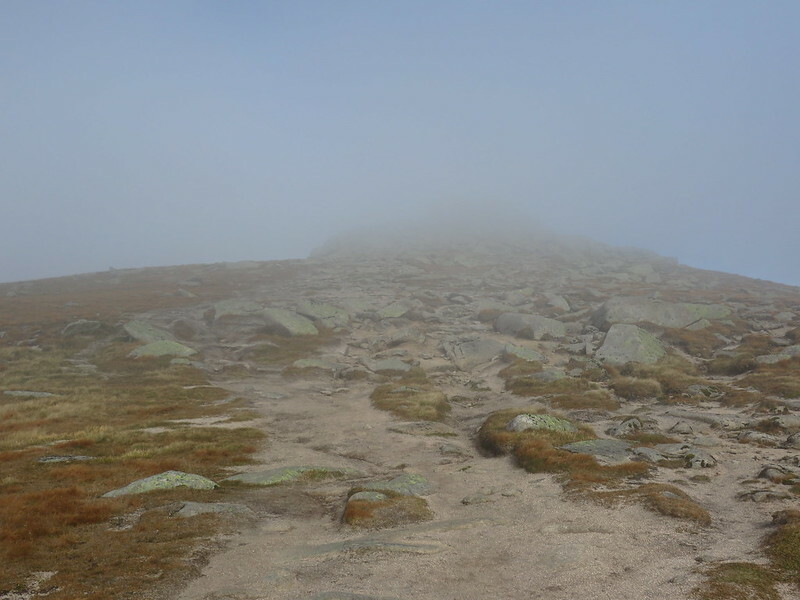 Following the cliffs round, the summit started to come of out of the cloud, with a bit of luck it would be clear by the time I got round. 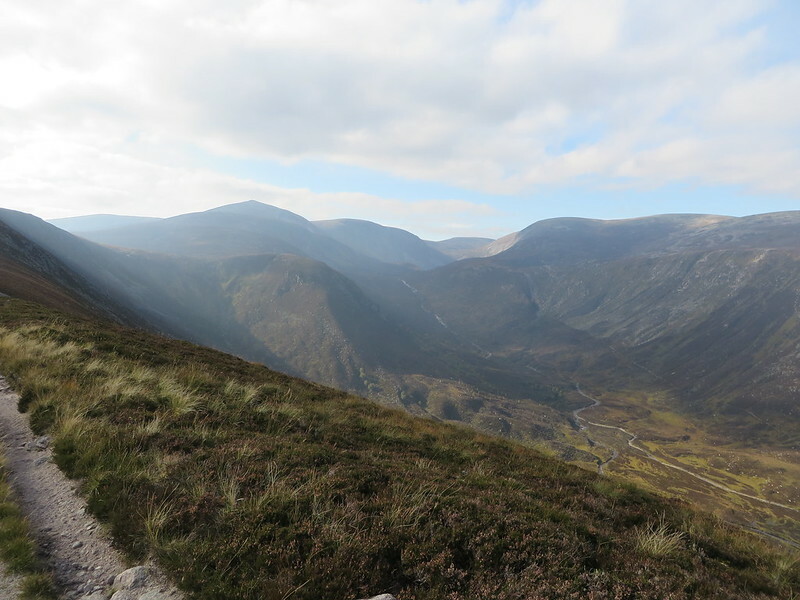 I didn't linger long as it was still very chilly in the autumn air out of the sun, so it was on to the next Munro Carn a'Choire Bhoidheach. 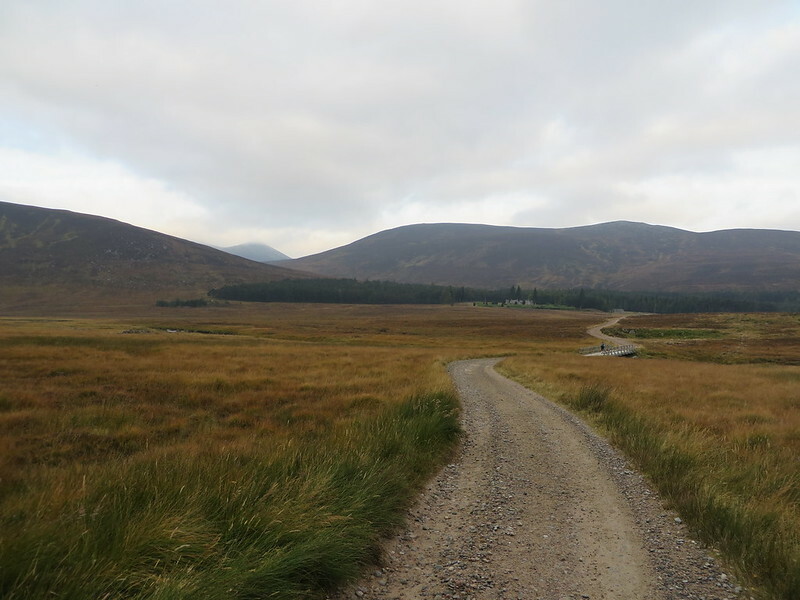 The approach from Lochnagar doesn't do this hill justice as it appears a mere hillock from this direction. 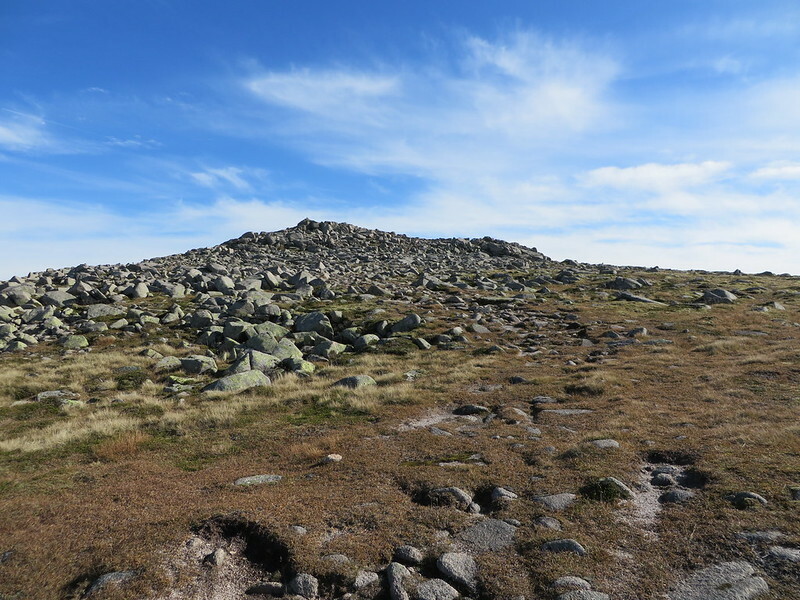 The summit is indistinct but thankfully a small cairn marks the apparent spot. The walk towards the next Munro Carn an t-Sagairt Beag allows you to look down towards Dubh Loch and the other two Munros on this walk. 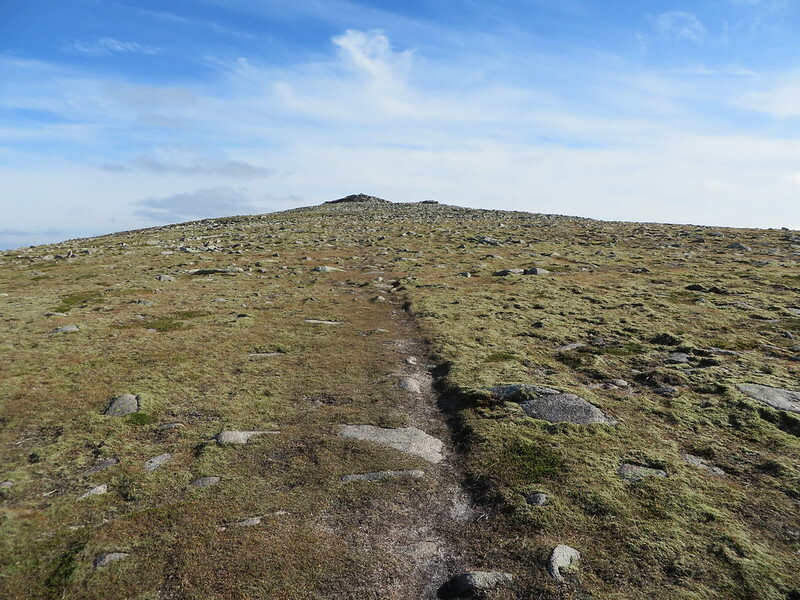 The summit of Carn an t-Sagairt Beag is marked with fairly unattractive cairn with rusty metal rods, presumably parts of the crashed plane. 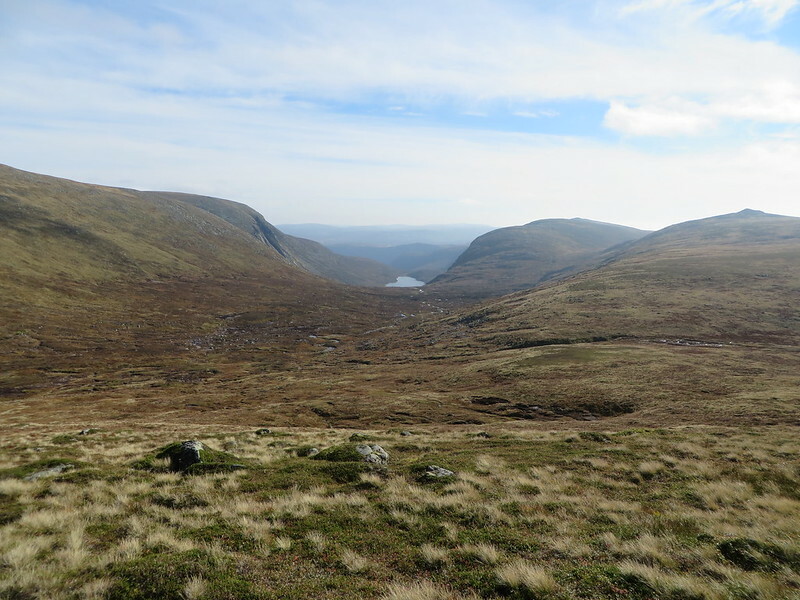 Next up is Cairn Bannoch, a fairly straight forward walk in good conditions, with very little "up" required from coming from the North. 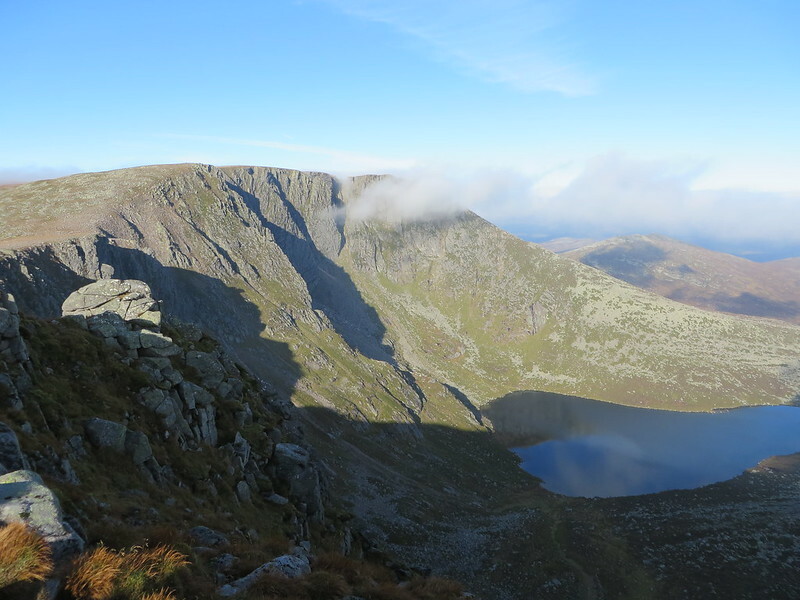 I stopped here for lunch and enjoyed the fantastic views of the rock faces and Lochnagar in the distance. 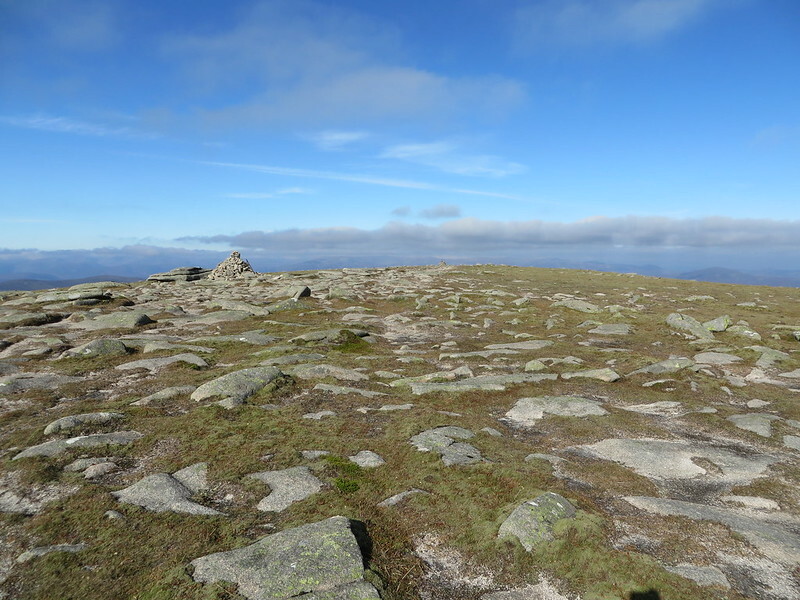 Final Munro for the day was Broad Cairn, again a fairly quick walk but a bit more of an uphill hike to it this time. 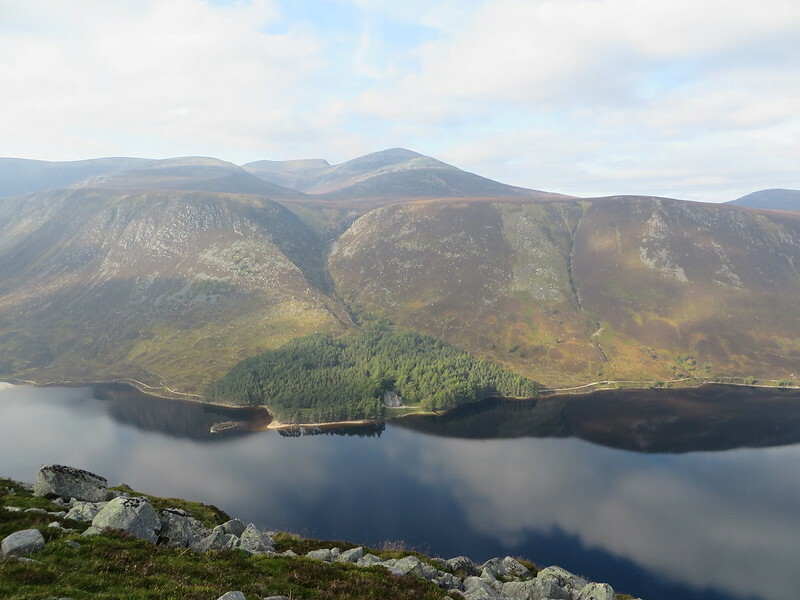 After that was the trudge back to the spittal, I took the highroad for the views, even though the zig zag section is a bit of a pain after a long walk, but definitely worth it. A great October day in the sunshine! 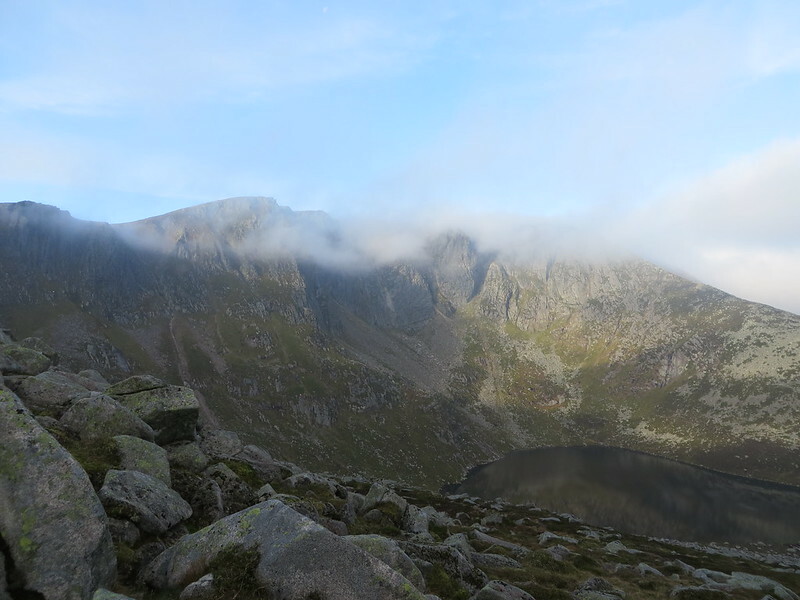 Some fine shots of the great corrie of Lochnagar - what an impressive sight! That's a big walk you did. Nice memories from there in snowy condition... Nice route, great walk !